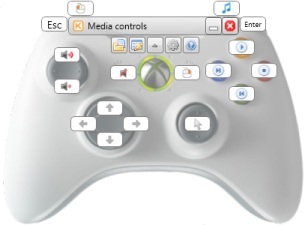 Using Keysticks with a wireless Xbox 360 controller means you don't need to sit by your computer. You can control your music player wirelessly. You can also connect your computer to your TV and browse the web wirelessly using your controller. 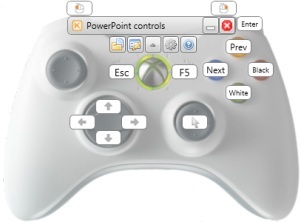 With Keysticks, you can use a wireless Xbox 360 controller as a slide changer for Microsoft PowerPoint. It helps you present slides smoothly without referring back to your laptop. 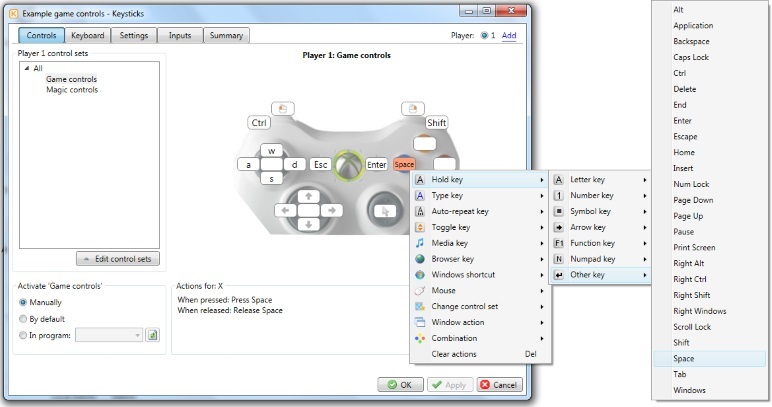 You can use Keysticks to create controls for games that only support keyboard or mouse. If you're tired of spamming the WASD keys in your favourite games, why not ditch the keyboard and play using your gamepad? Keysticks lets you use a comfortable controller instead of the mouse and keyboard. If you find clicking a mouse difficult, squeezing a controller trigger might be a good alternative. If you need to stay away from the keyboard, you might like to try typing with thumbsticks or buttons instead. 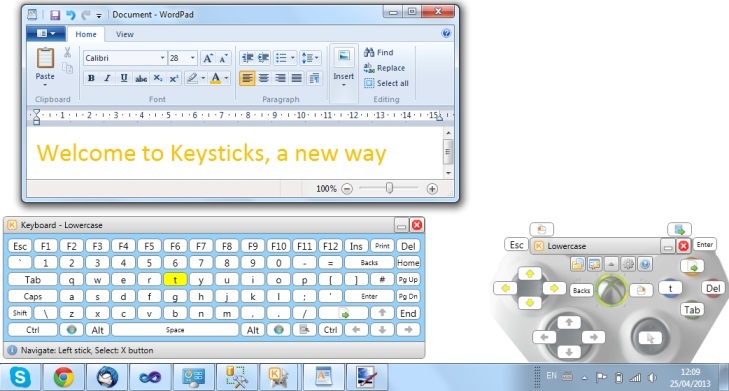 Keysticks comes with ready-made profiles for controlling Windows and an on-screen virtual keyboard with word prediction. It's designed to make computing more comfortable.